Sometimes I feel like a pathetic zombie going through the motions of everyday life. I have panic attacks that come from Alberto simply not being here. Memories only go so far. It’s funny how something can take center stage in your life. If you ever have had to be a caregiver for someone who is ill or in the hospital, the routine of that care takes over your life. When Alberto was in the hospital in Canada three years ago, I called the daily routine that evolved “hospital culture”. The same thing happened when I cared for my sister when she was hospitalized. Your life and schedule and vocabulary all revolve around doctors, tests, nurses, medications, care giving, the hospital cafeteria, and other families and patients you meet. At the end of very long days you collapse into worried half-sleep. And so it goes with planning a funeral. Like so many of us, Alberto and I casually talked about our wishes, but made no concrete plans. Don’t be quick to judge. Many people plan, but many do not. So along with our dear friend Jessica, who was by my side the whole time, we were thrust into a whole new world of “funeral culture”. This was not totally unfamiliar. Sadly, I “buried” many dear friends at the height of the first casualties of the AIDS epidemic in the 1980s and 1990s. I did my mother’s funeral along with my siblings nearly twenty years ago. But this was so different. It was Alberto. It all boiled down to things that seem grim. Where? Cremate? Bury? Embalm? Viewing? What kind of service? I chose a family run funeral home in business for 140 years and steeped in the traditions of New Orleans. New Orleans is a place that has a unique bond with its dead. 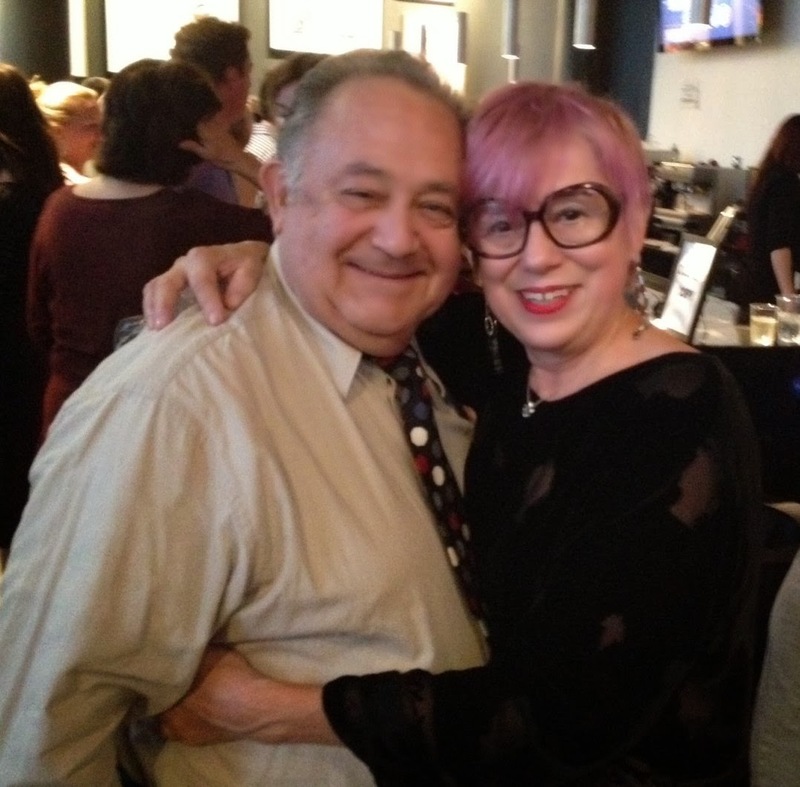 If ever an experience could be made”nice”, the gentle man who was my consultant made it so, and guided me with warmth, grace, humor, experience, and New Orleans charm. He loves his work, and this made the experience positive. There were certain things I did not want. There were certain things I wanted. He never judged my choices, and made it all happen with the least amount of trouble for me. He was conscious of budget, always working it in my favor, never trying to up sell me. I chose to have Alberto laid out for a viewing. His children had to come from far, and I wanted them to have closure in the most positive way. Embalming never renders a person looking their best. But Alberto looked more presentable than being seen by his children in a morgue-like setting many days after he died. Once the children arrived, they got involved with the arrangements. It was very hard for them at first. They are young adults and have little or no experience with death. Again, our gentle consultant made their journey into “funeral culture” easier for them. One of the things that I requested was to have Alberto’s whole body showing. He was a dancer, and I just could not abide one of those half casket things hiding his legs. His daughter hated the idea of renting a casket (we had opted for cremation, so one rents a casket for a viewing). As I said, I hated the idea of those tufted satin cookie cutter caskets that only opened half way. I asked about a plain, elegant wooden casket that could be opened fully. I wondered if the one used for cremation would be okay. Our consultant was great, and referred us to a local abbey that makes lovely hand made wooden caskets. It looked like something that Alberto would have enjoyed making. He was able to be viewed wearing his signature red socks (and dance shoes) that he wore when we performed or when we taught workshops. I had his feet crossed at the ankles. I also asked that only two spectacular and very large flower arrangements be displayed. I asked our friends Nancy and George Seegers at Tommy’s Flowers in the French Quarter to do them. There was a slide show of photos that his children and I chose over days and days of editing. The funeral industry is tech savvy now, and includes slide shows, and Internet legacy sites. 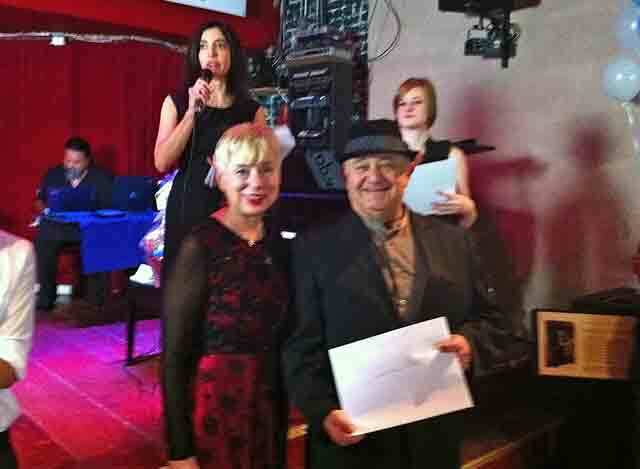 I had recorded music of tango (the orchestra of Osvaldo Pugliese) playing during visitation. After visitation the standing room only service took place in the simple, lovely chapel of the funeral home. 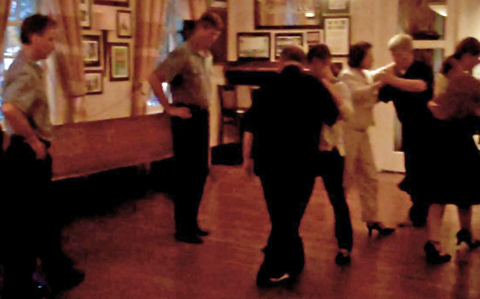 The pallbearers consisted of Alberto’s son, and five other men who are friends from our tango life. 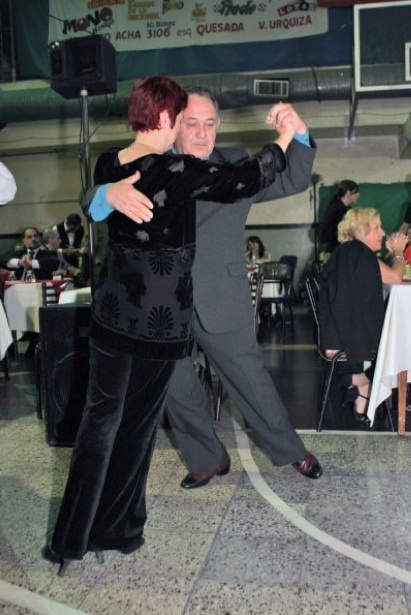 The processional music was the tango “Recuerdos” (“Memories”) played by Osvaldo Pugliese. 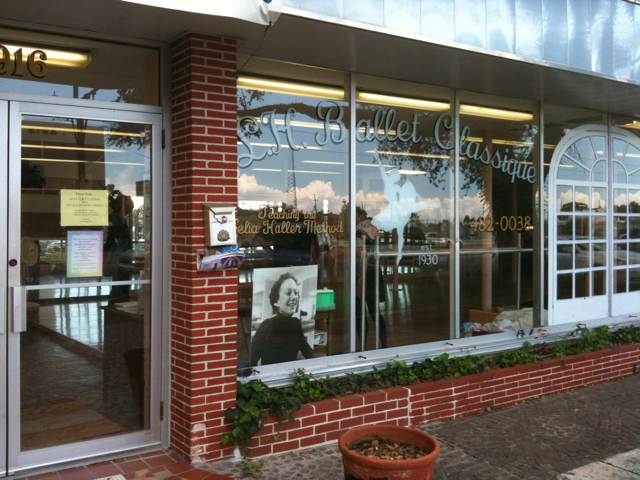 Pugliese was one of our favorite orchestras and was someone we revered, and loved to dance to. Though we are Catholic, we are lapsed. I asked a minister who has a church on the corner near our house to do the service. He knows us as neighbors. He is Baptist, and he calls it preaching the service. And preach it he did. It was personal and dynamic and not all fire and brimstone and woe. It lifted everyone up. His wife and their children sang gospel. 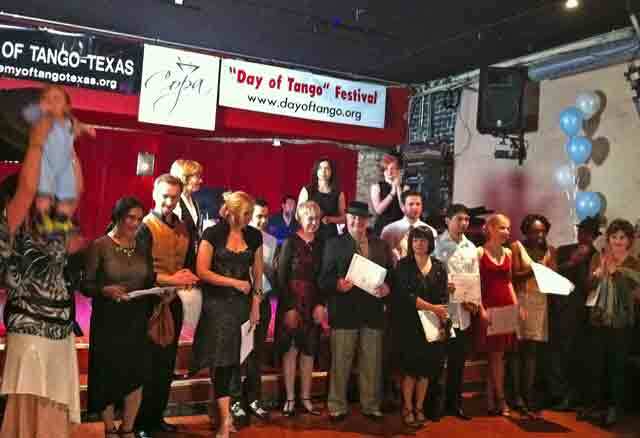 Two of our tango dancers who are glorious singers sang. One sang “Ave Maria” at the beginning, and another sang the aria from Madame Butterfly when the lovers say goodbye. Another dancer who is a beautiful singer had to cancel because tragically her own father died suddenly days before Alberto’s funeral. Jon (Jessica’s husband) and Jessica did the eulogy as partners, to emulate the partnership of Alberto and me. Some people got up to share a memory. Jon and Jessica also wrote Alberto’s obituary. After the service, everyone came back to our home for what is called the repast here. Several tango ladies had all the food prepared and arranged. My sister and my dear friend Michael Pelkey had the house all ready and did all the serving and clean up. Michael also did some cooking. I had Alberto’s favorite Jazz band come and play. In New Orleans there is the tradition of the second line at the funeral. A Jazz band walks from the church or funeral home to the cemetery in front (the first line) or behind the funeral car with the casket. The family and friends walk behind, forming the second line. The procession weaves its way through the neighborhood of the departed, stopping in front of places he/she frequented, and playing at each location for a few minutes. We could not do this traditional second line, so I asked the musicians to play in front of our house. They played the very traditional “Just a Closer Walk to Thee”. Another dancer who is a beautiful singer sang the hymn. It’s played as a dirge first, and then segues into a joyous Jazz rendition. A crowd gathered, and some second line dancing broke out. Afterwards, the band came in the house and set up in the living room and blew the roof off the place. 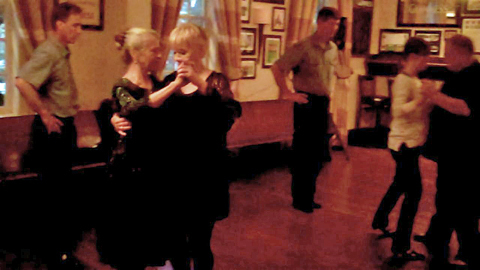 People danced in the room we used for private tango lessons. Alberto would have loved it. I am sharing these details as usual to inspire you. It seems like there are going to be a lot of funerals on the horizon as we baby boomers write our last chapter. 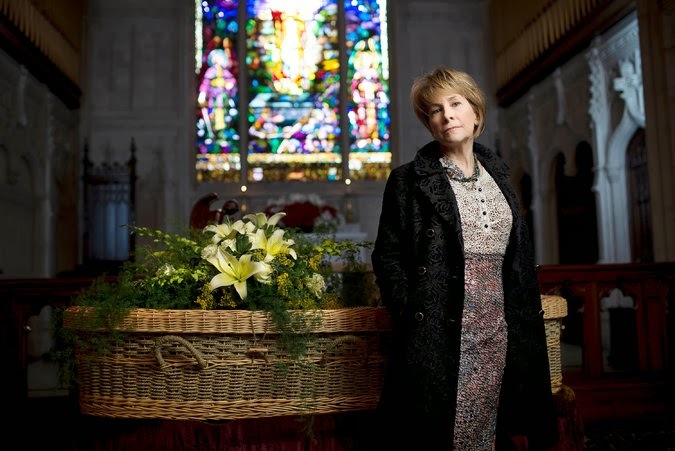 There is an apropos article in the New York Times, called “The Rise of Back-to-the-Basics Funerals” by Susan Chumsky. It is interesting how I am drawn to reading about this now. A couple of very sweet girls left a gift on my doorstep. 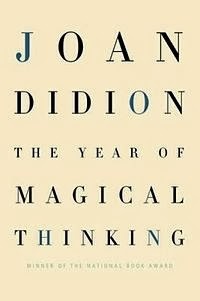 It was the book “The Year of Magical Thinking” by Joan Didion. Another friend had recommended it, but after checking it out on Amazon I felt too queasy to get it. I didn’t want to read about something so close to my fragile home. But once the book arrived on my doorstep I took a deep breath and ended up reading it in one setting. Why am I writing about this? Well, I am a writer. Most of these days are spent going through empty motions of “living”. I am starting to work again (a good thing). There are many chores and paperwork involved in this process that I numbly attend to. I often rush back to the house when I have to go out. It’s my haven, but then that haven becomes my torment as night falls. I miss Alberto so very much. I try to “do” things to distract my heartache and longing. Often I am rendered paralyzed and drained. If I am lucky I will lapse into a depressed state of sleep with a nap. I only sleep in segments. Remember that Alberto pushed and encouraged me into writing my blog The Visual Vamp when I was depressed after Katrina. 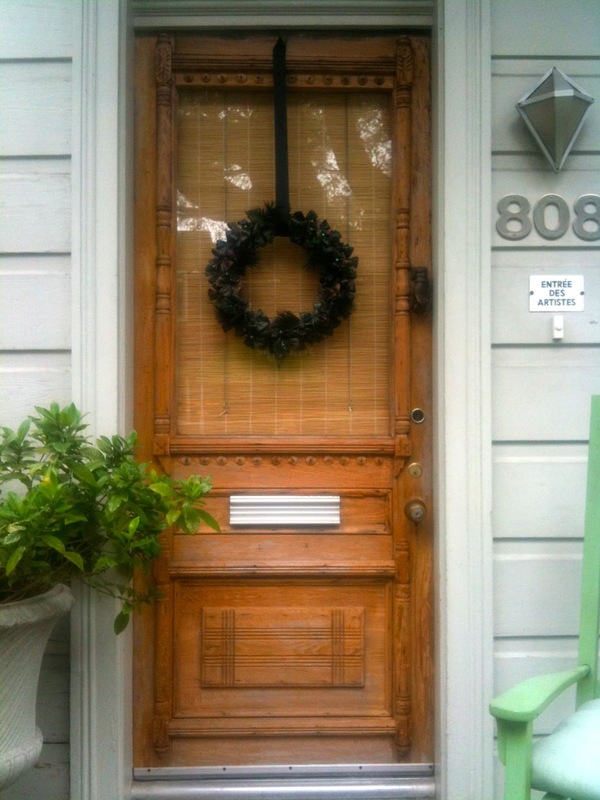 That blog has lead me to writing and design jobs I love to do, and to extraordinary friendships. 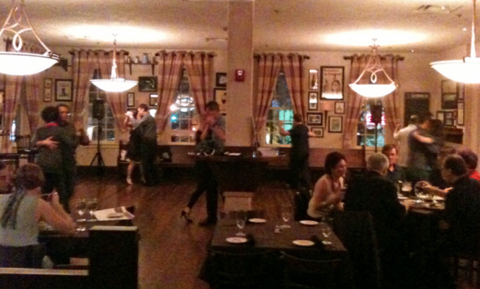 Remember Alberto and I published and wrote our tango magazine El Firulete for many years. 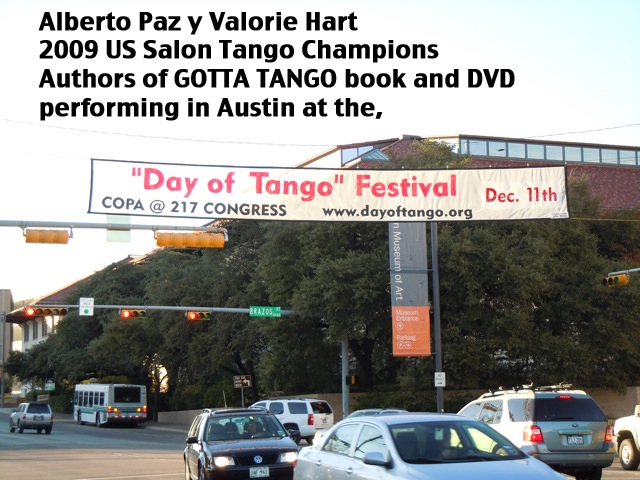 Remember we wrote a tango book (Gotta Tango) together, that was started before Katrina, interrupted by Katrina, and finished after, becoming a better book because of that interruption. Alberto encouraged me to write what became my first design book. So here I am again, using the blog to help me, using my creativity and the sweet memory of Alberto’s unconditional support to save me, and needing all of you to be my side in the hopes that we can share and inspire.